Digital Marketing Strategies | Inbound Marketing Blog | What Is A Marketing Plan? 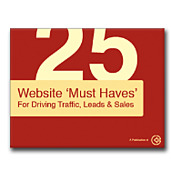 Maybe a somewhat obvious questions but there are many types of marketing strategies. We are a certified inbound marketing consulting and services firm so we get this question in many forms, every day. What is a marketing plan, is a great question that ultimately has different answers with different marketing solutions for each business. According to Wikipedia, the answer to the question, What Is A Marketing Plan is this - "A marketing plan may be part of an overall business plan. Solid marketing strategy is the foundation of a well-written marketing plan. While a marketing plan contains a list of actions, a marketing plan without a sound strategic foundation is of little use". As we mentioned above, we focus mainly on what is called inbound marketing plans. They can also be referred to as attraction marketing, internet marketing, online marketing and digital marketing. If you are asking the question, What is a marketing plan, the first thing you will want to understand is that a comprehensive marketing plan will include both an online strategy and a more traditional marketing strategy (print ads, radio ads, display ads and even TV ads). We will leave the traditional marketing plan to others but we can help you with a strong online marketing plan. Here is an image that will illustrate these 4 concepts a little further and with more detail. As you can see, your internet marketing plan needs to include these 4 primary steps as well as the applications that will allow you to connect these components to reach your marketing objectives. You can also see more about, What Is A Marketing Plan by using this link. Yes this process can become very complex and very sophisticated but if you start with the basics, keep up your research through education (use our inbound marketing free eBooks), you can productively build a comprehensive inbound marketing plan. The alternative to spending your valuable time learning the steps to building a revenue producing inbound marketing plan is to either hire a consultant to help you speed up this process or partner with a team that will operate as your businesses marketing arm. Many of our own clients choose the later and hire us to create, develop, manage, report on and modify an effective internet marketing plan. What is a marketing plan? If you need to accumulate the answers to this question on your end first, I personally recommend that you download the eBooks that we provide, read them throughly and record your marketing plan step by step. Here are the eBooks that we recommend you begin with. Be sure to spend the appropriate amount of time to record all of your questions so when you do decide to speak with an inbound marketing consultant, you are prepared to make the best use of that time. Keeping in mind the illustration above, we can see that attraction is the first element of your inbound marketing strategy. Attraction refers to the ability to attract first level visitors into your website and preferably into a topic specific page called a landing page. If you look at this process in the form of a funnel, this would be the top end of your funnel where you are attracting strangers through the major search engines, blog development or social media platforms. 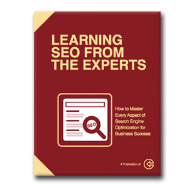 You can use the image to the left to download our free eBook called "Learning SEO From The Experts". The next piece of reading when trying to answer the question, What Is A Marketing Plan, is this eBook that explains to you in detail, how you go about converting the website visitors you achieved in the attraction process, into leads that are more qualified and have more interest in your product or service. Visitor conversion is a critical component in your online marketing plan because as you might guess, piling up the traffic numbers will have little value if you can't convert them into interested leads and ultimately customers. Every business will have a different sales cycle so this inbound marketing plan and these specific steps may be a shorter process for you, or might require a longer, more delicate process. If you are selling million dollars yachts, your sales cycle will most likely be much longer than the business that sells a box of pencils. The point here is that this conversion process may have more than one step and may require more attention. The third eBook we recommend is focused on how to alalyze the not only these first two stages but each and every stage in the inbound marketing process. When asking yourself, what is a marketing plan, this is where you need to realize that if you can't measure it, you can't manage it. It is absolutely imperative that you have a strong analytics package connected to your marketing activities. The truth is you could spend 8 hours a day plus learning how to effectively measure all of the activity you are generating and all the activity that you really want to generate. Sometimes its your analytics that will let you accomplish more of what you "want" as oppose to what you "will get" simply as a result of your marketing efforts. Yes, you may have to read that sentence a few times before it sinks in. In summary, we encourage you to keep reading and absorbing material that helps you better answer the question, what is a marketing plan. Virtual Support Systems can help you in 2 ways. Providing detailed information like the free eBooks above. Scheduling a marketing discussion so you can better consider hiring a team to help you create and/or implement an effective inbound marketing plan. Topics: What Is A Marketing Plan?